Raquel Welch (born 5 September 1940 in Chicago, Illinois), is an American actress. She starred in the movies, A Swingin' Summer, Fantastic Voyage, and Bedazzled. 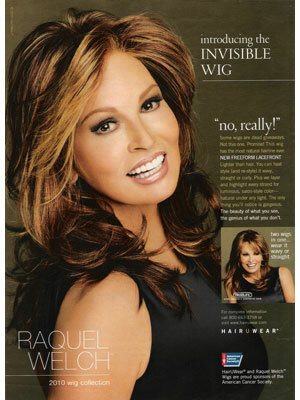 Raquel published The Raquel Welch Total Beauty and Fitness Program in 1984. Welch has a wig collection for HAIRuWEAR, was signed in January 2007 for the MAC Cosmetics Beauty Icon series, and was signed in June 2010 for a Foster Grant sunglasses ad campaign.